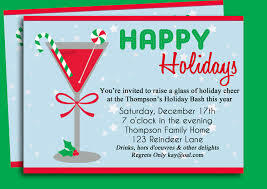 With the Holidays just a few weeks away, now is a great time to put the invitations together for your companies “Big Holiday Bash”. Hosting a party is never easy. One of the most basic things is Invitation Cards. For any event or party to be successful, you must have ample people participating for it to be a successful party. This is why invitation cards are so important. The invitation card must entice the invitee to want to come. Wholesale Invitation cards can be designed in various ways. They should be customized according to the theme of the event. 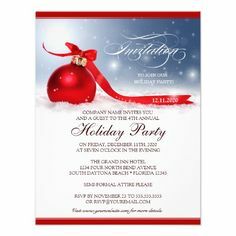 If the theme is a Holiday Gala, then the cards need to be friendly and brilliantly designed in various vibrant colors. An important point to be noted is to check for any spellings errors, text size, and font type. We, at Color Trade Print, hope that your company takes the time to celebrate the Holidays with one another. Let’s get started on creating those Wholesale Invitations. This entry was posted in Greeting Cards. Bookmark the permalink.